Welcome to Clubhouse's "Meet The Product Manager" series, where we interview product managers about their background and what they're working on! Justin Jackson is the founder and product manager of both MegaMaker, a community of bootstrap startup founders, and Transistor.fm, a podcasting platform for brands who want to grow their audience. Formerly, he was a product manager at Mailout and product marketing manager at Sprint.ly. You’ve had a really interesting career journey, going from CX, to Product Management, to Product Marketing. Now you are the founder of two startups, MegaMaker and Transistor.fm. Can you talk a little bit about this journey? How did you get to where you are today? 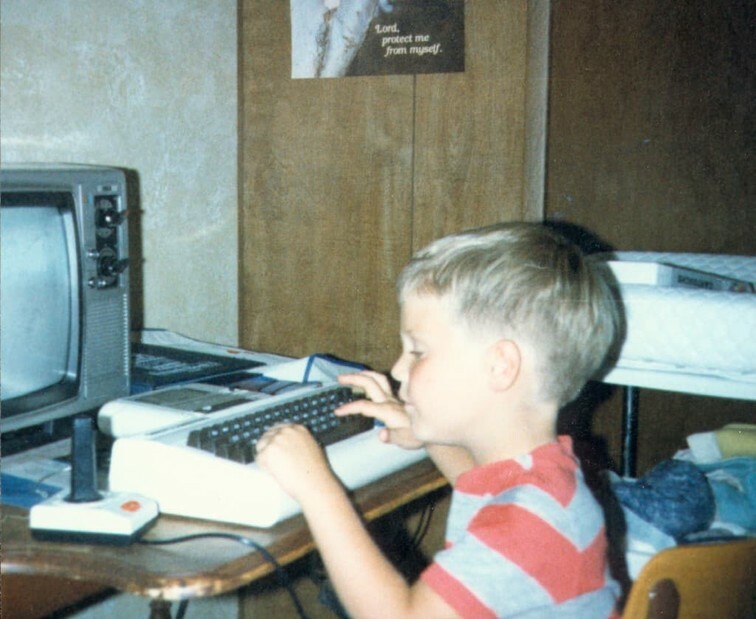 My parents got me a Commodore VIC-20 when I was 3. I’ve been making things with computers since then. But I’ve also always been into business. I ended up going to university in Edmonton for business and graduated in 2002. After I graduated, I opened a snowboard shop with a friend. We’d run a little DJ business together in high school. Our store was called the Real Deal. We ran it the best we could but got hit with the recession. We closed the shop three years later. I got a job in the non-profit sector. This whole time, I was building websites for folks on the side. I designed and built some software too. One was a training application for new hires. I also made a donor management system for the non-profit I was working at. In 2008, I decided to quit and try something else. I was 28, and I’d always thought I would end up in a more creative industry. But quitting was scary. I remember wondering: “What the heck am I going to do now?” Greg, the founder of this startup called Mailout, called me up. He said, “I like the way you work, I’d love to have you come work with me.” So that’s how I got started in tech. It was a fairly late start (I was 28 at the time). My first week on the job, Greg sent me a copy of 37signals’ “Getting Real” book. I read the whole thing that night. It blew my mind. The way they thought about business, design, customer service; it all appealed to me. A particularly interesting part of your career is your transition from CX to Product Management, at Mailout (now owned by J2 Global). How did you find that change? My first day at Mailout, my boss handed me a phone and asked me to call all the new signups and train them to use our SaaS. I was like, “Wait, you want me to call people? I thought this was a tech company.” In retrospect, that experience was invaluable. Talking to people on the phone, you learn so much: what brought them to your software in the first place, the outcome they’re trying to achieve, and where they’re getting stuck. Customer support is an under-appreciated art. They’re the frontline: they’re doing sales, on-boarding, damage control. A ton of your brand and the overall customer experience comes from support staff. After Mailout, you were a PMM at Sprint.ly. How was the adjustment from product management to product marketing? When you’re a Product Manager, your number one objective is to connect with customers and figure out what they want. Then you go work with your team to build those features. You’re the founder of MegaMaker, a community for bootstrappers. How did that come about? One day, while working as a Product Manager, I came back from work pissed off. Work just wasn’t progressing as fast as I wanted. I decided I would launch a project that night, without any coding, that connected with a real desire I’d seen in the market. I’d observed tons of solo-founders, and folks building side-projects, struggle with feeling isolated. A lot of us lived in small towns and didn’t know anybody else who was bootstrapping. So I launched a small community to meet that need. The first 10 spots sold out in like an hour. Since then, it’s grown to about ~400 members. Initially, it was just a chat room, but since then it’s evolved to include forums. You started MegaMaker before you left Sprint.ly. What was the moment when you realized you could commit to MegaMaker full time? When I published my book, Marketing for Developers. I’d been working on it since 2013. When I launched it in 2015, the initial sales were over $20,000. At the end of the year, I’d done about $66,000 in side-project income. I thought, “If I go full-time on this, I could probably double that and make a pretty good full-time income on this.” So in 2016, I went independent. I ended up doing about $146,000 in revenue that year. You also co-founded Transistor.fm, a podcasting platform for brands, with Jon Buda. 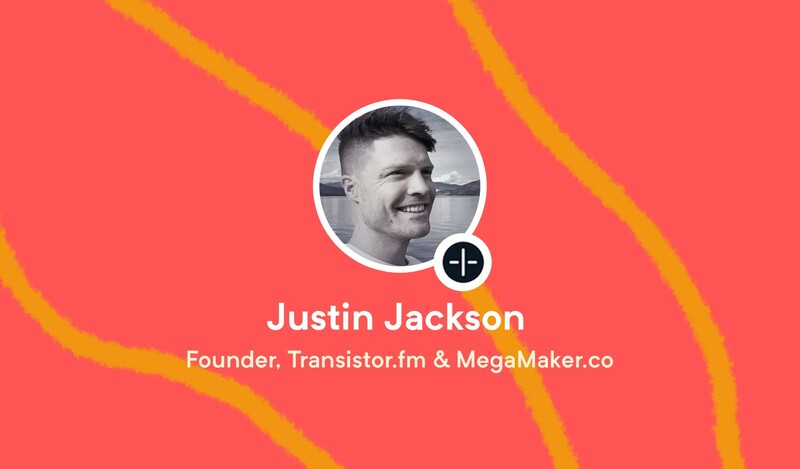 How did you meet Jon and where did the idea for Transistor.fm come from? Jon and I met at the XOXO Festival in 2014. Our friend Chase Reeves introduced us. I had a podcast called Product People, and Jon was interested in building stuff for podcasters, so we connected over that. Over the next few years, we saw each other at least once a year and always enjoyed hanging out. We even built a few fun side-projects together. We signed our partnership agreement in February of 2018 I believe. We’ve heard from other product managers that prioritization is one of the biggest pain points in their role. How has this been managed in your various roles as both Product Manager, marketer and founder? As a Product Manager and a founder, you’re always balancing the short term requests (bug fixes, small improvements, customer requests) with the long term vision you have for the product (based on things you’ve observed in the market). It’s challenging to balance those! We especially saw this after we launched Transistor. Leading up to launch we had tons of time and energy to focus on new features. But after we launched, we were playing more defense: working on bugs, fielding customer requests, tweaking the product so it would work for them. As both founder and Product Manager of MegaMaker and Transistor.fm, how do you balance the different responsibilities of each against each other? Which takes up more of your time? While we’ve been bootstrapping Transistor, MegaMaker has been paying my bills. In the first 6 months I was dividing my time 50/50, but these days 80% of my time is spent on Transistor. The Product Manager is seen as the “CEO of the product they manage”. What is your interpretation of that moniker? One thing I don’t like about it is it puts the Product Manager on a pedestal (above other teammates). The Product Manager is more like the “customer’s representative.” They work with designers, devs, salespeople, the CEO, to achieve the best results possible for the customer. Transistor.fm is podcast hosting and analytics for professionals. We help brands, organizations, and media personalities publish and distribute their audio to the world. What does the team look like at Transistor? Is it just you and Jon doing everything or are there others helping out? It’s just Jon and I doing everything! Honestly, I would be fine if we only hire one other person in the future (to help with customer success). There’s something calming about being small. Besides Clubhouse, what other tools are you using over at Transistor.fm and what do you like about them? We’re pretty lean! I think Clubhouse was the first product we actually paid for. We also pay for Kayako (for customer support and live chat). Besides infrastructure stuff (like AWS, Digital Ocean, Caddy Server) those are our only paid tools. 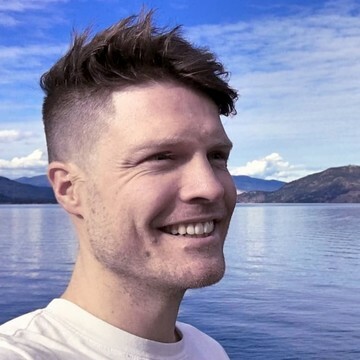 What sort of process or methodologies do you and Jon use for building Transistor.fm? How do those work in a distributed team? 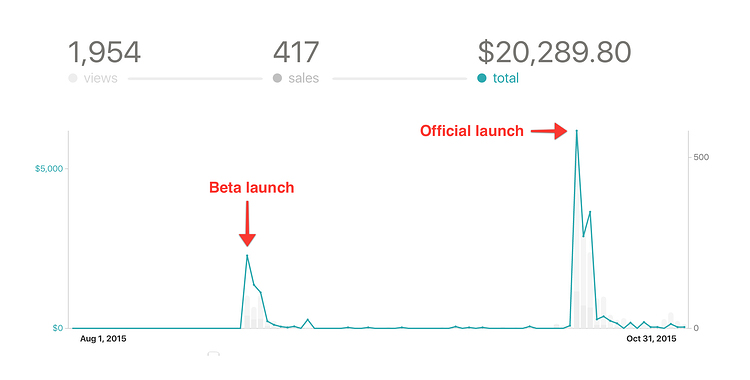 We’ve tried to work in six-week iterations, but we’re still really week-by-week currently. We loosely follow some lean principles. The nice thing about being two people: it’s really easy to keep each other up to date. Humans > Technology – we want to be focused on people, not on technology. Who are we serving? How do we help them? Great products challenge a commonly held convention and change the conversation. People buy products for one reason only: to make their lives better. With only two of us working on Transistor, our biggest pain points are limited time and limited focus! How do you and the team at Transistor.fm balance urgent bugs or feature requests against long-term programs and initiatives? Generally, urgent bugs go to the top of our priority list. What’s something about the product management set-up at Transistor.fm that may surprise people? Jon is really thoughtful and sweats the details. I move faster and like to push the envelope. We’re a good team because we balance each other out. Are you a member of any product management or founder communities? What are they? Social media profiles count! In the past, I’ve been a member of https://www.productmanagerhq.com/. MegaMaker, my community, also has lots of Product Manager folks that I chat with regularly. Finally, since you are an avid user of Clubhouse, what do you like about it, especially as both a product manager and founder? A few things: I love the Kanban board layout. Being able to see all those columns, and sort and organize cards visually is so helpful for me. I also like how I can filter quickly. If I want to see which stories are just for me, it’s really quick to zoom in and just see my stuff. If want to see what Jon has on his plate, I can easily switch to his view. It’s really helpful. You can follow Justin on Twitter. Want to see yourself or someone you know featured in our Meet The Product Manager series? Let us know!